Carolyn is a past President of both the District of Columbia Bar and the American Bar Association. She is currently serving as the American Bar Association's Representative to the International Bar Association. Carolyn Lamm regularly serves as lead counsel in high-stakes, cutting-edge cases, successfully resolving significant international arbitrations involving international corporates and sovereign clients. She also serves as lead counsel in arbitration-related litigation matters. 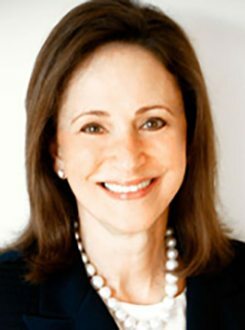 Her practice concentrates on international dispute resolution through international arbitration, litigation and international trade proceedings. She advises clients in matters with ICSID and its Additional Facility, and other international arbitral proceedings involving States, as well as commercial arbitral fora including AAA/CDR, ICC, Vienna Centre, Stockholm Chamber, Swiss Chamber and in federal court litigation. She teaches International Investment Arbitration at the University of Miami School of Law in the White & Case LLM program in International Arbitration. Carolyn was appointed by President Clinton to the US Panel and later by the Government of Uzbekistan to the Uzbek Panel of Arbitrators for ICSID arbitration. She was a member of the American Arbitration Association Executive Committee and Board, and is currently a member of the ICCA Governing Board, a member of the Council of the American Law Institute (Advisory Committee for the Restatement of International Arbitration and a Counselor for the Restatement Fourth on Foreign Relations) and has served as an arbitrator in AAA International Rules, ICSID and NAFTA Chapter 11 disputes. Carolyn is a founding member of the American Uzbekistan Chamber of Commerce and currently serves as Chairman of the Board. Carolyn's exceptional track record in international dispute resolution and her leadership in the profession have been repeatedly recognized by numerous sources, including: 2014: Best Lawyers - US International Arbitration Lawyer of the Year; 2013 National Law Journal's 100 Most Influential Lawyers in the US; Legal Times 2010 Award Visionary and Most Influential Women; The University of Miami, Edward T. Foote Alumnus of Distinction Award, 2009; The University of Miami School of Law, Distinguished Alumnus Award, 2009; "Lawyer of the Year 2008" by the Bar Association of the District of Columbia; National Law Journal, 50 Most Influential Women in America; Law dragon 500 Leading Lawyers in America; National Law Journal, 100 Most Influential Lawyers in America; Woman Lawyer of the Year" Award by Women's Bar Association of Washington, DC; Chambers USA Award for Excellence: Outstanding Contribution to the Legal Profession, 2008.